“Now, whenever you want to share a specific web link in your posts, just tap the new link icon, type in a few keywords to search for a link from our index of posts, and share it,” the company said. 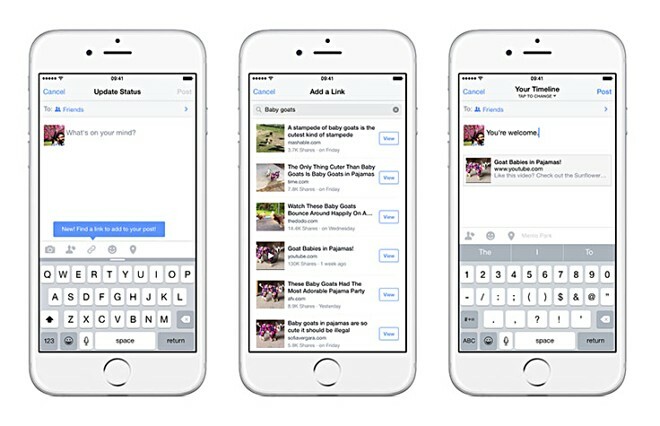 So effectively, the feature makes sure that users won’t have to leave the Facebook app when searching for Web links. The company has also shared the complete story detailing how the idea, which was put forward back in January this year by one of its product managers, turned into reality – click the Source link below if you’re interested in having a read.